Throwing a pool party in the summer is a must. What is more fun for the whole family than inviting over friends to enjoy the crystal clear waters of your swimming pool on a hot summer day. It doesn’t take much to make a pool party a success — after all, there is a swimming pool to be enjoyed. However, planning for the party can still go a long way in ensuring the day goes off without a hitch. Here at Universal Pool Service, we are here to assist you in getting your pool ready for entertaining family and friends. 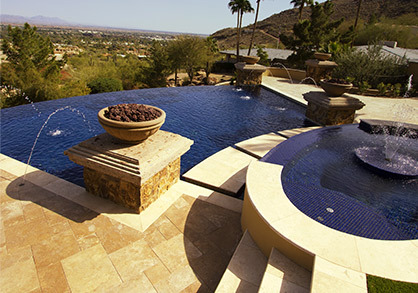 As local pool cleaners serving the Glendale, Litchfield Park, and Goodyear area, we can assist you with everything you need to ensure your pool is pristine on the big day of your event. 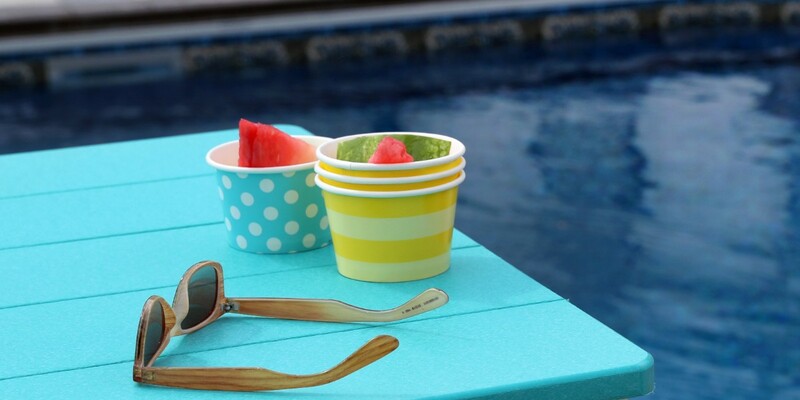 Check out the following tips for preparing for a summer pool party and contact us for help today. Nothing will ruin your pool party faster than a dirty pool or one with unbalanced chemicals. No one wants to arrive at your party only to look into your pool and see dirty murky water. Scheduling a pool cleaning prior to the big day is a must. A professional pool cleaner will make sure that the water is clean and that the filters have been washed out. They can skim the surface to get rid of any floating debris and vacuum the pool floor to get rid of any lingering grime. Not only that, but they will also clean the steps and walls of your pool to ensure it is sparkling and ready for guests. During a professional pool cleaning, the technician can also make sure that the chemicals in your water are balanced. Even if your water looks clean, it doesn’t mean that the chemicals are as they should be. Too much chlorine, for example, could lead to burning eyes and an overwhelmingly strong odor. Make sure you get this checked before the big day. Once you know that your pool is clean and you are no longer worried about the chemicals being balanced, it is time to turn your focus to the area around your pool. Make sure that you organize everything and leave a clear walkway for people to prevent poolside falls. Consider how much seating you have currently in the area. While many people will be enjoying the pool itself, there will also be people who don’t want to swim. Make sure there are plenty of seats for those who want to simply linger by the poolside. If you are inviting families to the party with lots of kids, think about setting up a kid zone. Add small tables and chairs where kids can take a break between swimming and enjoy a quick bite to eat. Speaking of eating, make sure you pick out a fun theme for your food and drinks. Rather than just purchasing a random assortment of snacks, create a theme that everything ties back into. For example, since it is a poolside party, consider a high seas theme. From pirates booty to ocean blue drinks, you can create an entire menu that revolves around this summery theme. To really get into the spirit of things and to throw a party that everyone will remember, consider purchasing a costume for the event. Don’t forget the extra touches too, such as napkins, plates, and cups that match your chosen theme. While everyone you invite should know that they are coming to a pool party, that doesn’t mean a few people won’t forget their towels and swimwear. Purchase some extra pool towels so everyone has something to dry off with. You can even buy some extra swimsuits for those who might have forgotten their own. Pick out a few simple swimsuits and trunks in a variety of sizes. You can keep these on hand that way any time someone visits, you have a swimsuit they can wear. This will help ensure everyone has a good time, even if their beach bag was forgotten on the kitchen counter. Finally, the key to any successful party is making sure you spend the day focused on your guests. Take the time to talk to everyone you invited. Make sure people are comfortable and have what they need. Consider having some games on hand to play in case people want to get out of the sun for a bit. 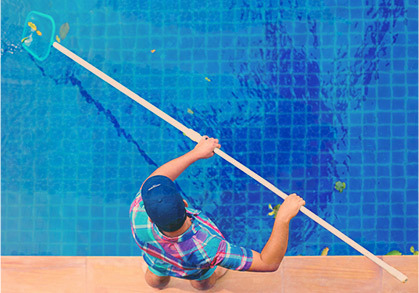 If you have been inspired to throw a pool party this summer, then we invite you to reach out to our team to schedule pool cleaning prior to the event. We can help make sure that your pool is clean and ready for guests. We will do everything from cleaning out debris to balancing your pool’s chemicals as needed. At Universal Pool Service, we have been providing top quality pool cleaning services in Goodyear and surrounding communities since 2002. 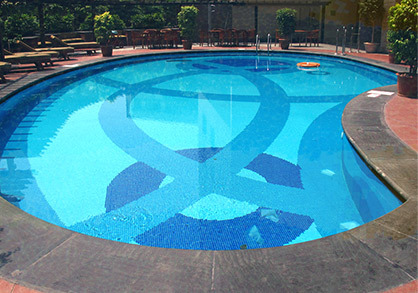 Our years of experience mean that we can quickly and effectively get your pool ready for your upcoming party. We have built a quality reputation in our community as a trustworthy pool cleaning company. You can rest assured that when you hire us for the job, you will be getting the very best. Schedule pool cleaning services today.